In recent years, we have seen so many concepts at Pebble Beach as the companies took this opportunity to showcase design and tech loaded concepts, which sometimes makes it into production. 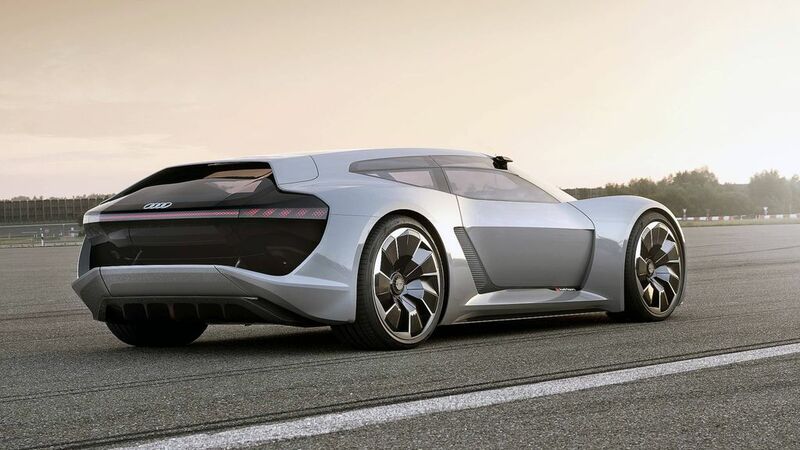 For the first time, Audi has come to Pebble Beach with a concept model and it is named as PB18 e-tron concept. At first glance, people might notice the concept as a preview of next generation R8 as the front gets large trapezoidal grille with LED headlamps and sporty bumper. But the rear design reveals that the concept is a three door hatchback as the company has given flat roof and swept back wind screen. The PB18 concept comes with LED tail lamps, which runs across the rear. The interior took inspirations from motorcycles as the layout can be switched from single person to two person. In single person configuration, the driver seat along with instrument cluster and other functions will be placed in the middle, but with two persons the cockpit will be moved to regular driving position. The PB18 concept is loaded with tech as the windscreen comes with augmented reality system, which can display information about road infront of the driver and in race tracks, the system will give racing line guidance also. Like most of the new generation Audi’s, everything is controlled via touch screen. The power for PB18 comes from liquid cooled sold-state battery, which has an energy capacity of 95 kWh. 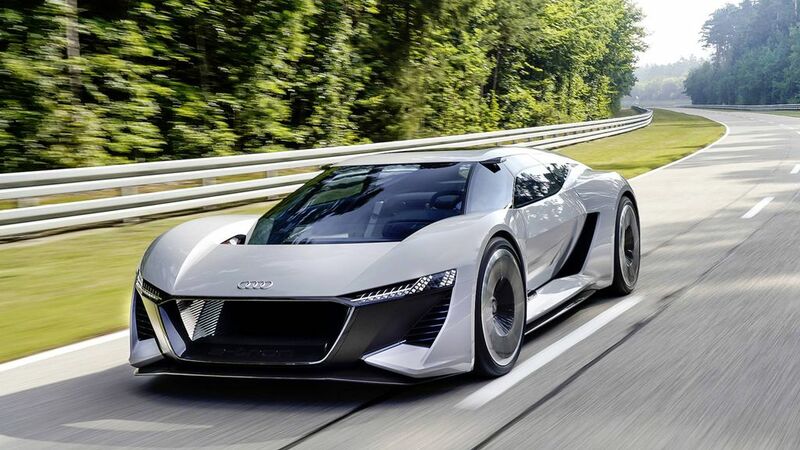 Audi has given three electric motors for PB18 in which one for front wheels and two for each rear wheels. The combined power output is 671 hp and 830 Nm at regular driving conditions, the power can be bumped upto 754 hp. The PB18 Concept can achieve 0-100 kph in just over 2 sec, which can be matched only by LMP1 racing car. The company has given regenerative braking to improve efficiency and the claimed range is 500 km. The battery can be topped up in just 15 minutes using an 800 volt charging system and wireless induction charging is also available with the concept. 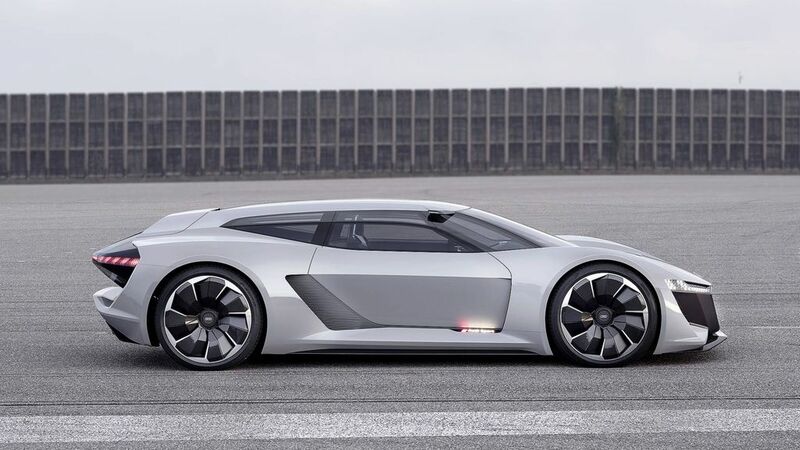 Audi has used aluminum, carbon and other materials for the construction of PB18. The suspension for PB18 took inspirations from Le Mans racing car and the company has given independent suspension at front and rear with magnetic adaptive shocks with pull rod and push road. The PB18 Concept is unique as it doesn’t come with any autonomous driving tech, which is rare these days and it will remain only as a concept model for now.